Stockholm, April 28, 2014 — Today Tobii Assistive Technology, a division of the Tobii group, the global market leader in eye tracking, launched Tobii Gaze Viewer, a compact assessment tool intended to give professionals and care takers quick, simple, on-the-fly eye-tracking evaluations for vision assessments, cognition, reminiscence testing and even reading comprehension. 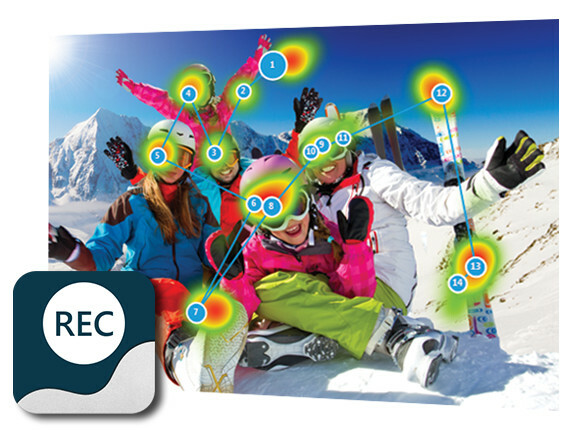 Used in conjunction with Tobii assistive technology eye trackers, Tobii Gaze Viewer can record eye-tracking data, including heat maps, gaze plots and even “live gaze” over anything displayed on the screen – e-books, games, memory or reminiscence boards and even online video content. With a variety of reporting options, the visual data collected with Gaze Viewer arms professionals with additional information to more comprehensively report on their patients’ progress, development and growth over time. Tobii Gaze Viewer is available today as a direct download exclusively through the Download Tobii Gaze Viewer. Those interested can also download a one day, risk-free trial.